The Tieton River is the most popular whitewater river rafting trip in the state of Washington during the month of September because it is the ONLY whitewater to be found during the month of September. After all the other Cascade rivers have run dry, the Tieton River re-hydrates for three purposes: salmon, irrigation and white water rafting. The Class III rapids and waves on the Tieton River are relentless and, as a bonus, the water, having been impounded behind Rimrock Dam all summer long is, by Washington standards, warm. Even so, we will provide you and your party members with wetsuits, splash jackets, lifejackets, paddles and all necessary river gear for your thrilling ride through the Tieton River corridor. From Monday through Friday, we break up the 14 mile river trip at the halfway point and provide a delicious river side delicatessen-style lunch and a warming campfire if needed. Looking for a place to stay? El Nido: The Place to Stay in Tieton is owned and operated by Orion's very own instructor Robert Kolden, and his wife Lori Talcott. 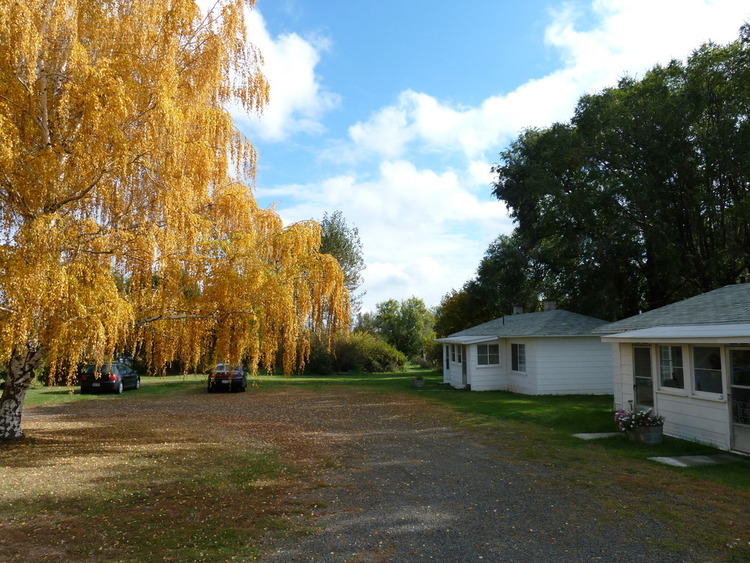 El Nido has several small quaint cabins in clusters around large trees nestled on seven acres, just two blocks from the town square, and one block from Tieton Lofts and the Might Tieton Warehouse. It's the perfect place to stay after a weekend of fall boating!